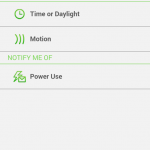 WeMo app controls the WeMo Switch, WeMo Light Switch and WeMo Motion. Turn electronics on or off from anywhere. 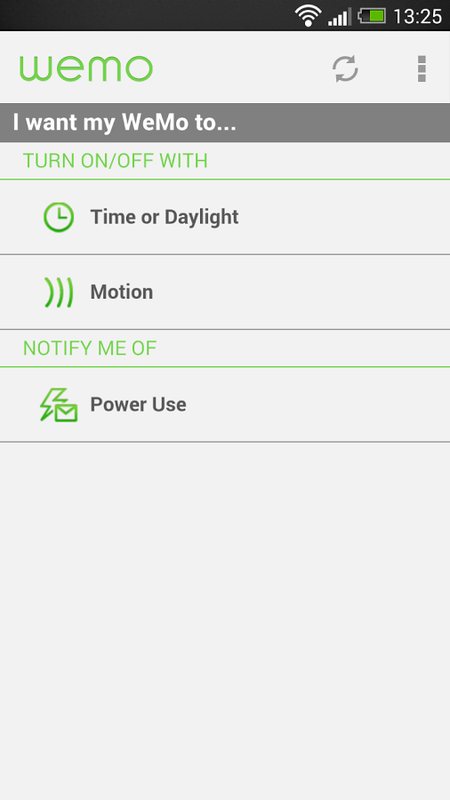 Control your room lighting from your smartphone. Motion Control your electronics. Compatible with Android phones or tablets running Android 4.0 and higher. 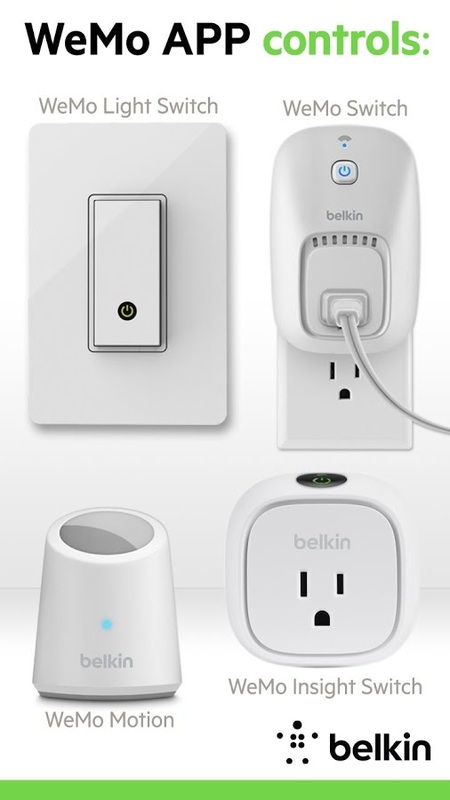 Belkin’s WeMo system is a family of simple, ingenious products that use your Android phone or tablet and your home Wi-Fi® network to connect you to the things and people you love. 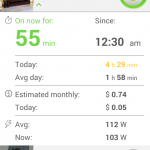 WeMo is your home at your fingertips. 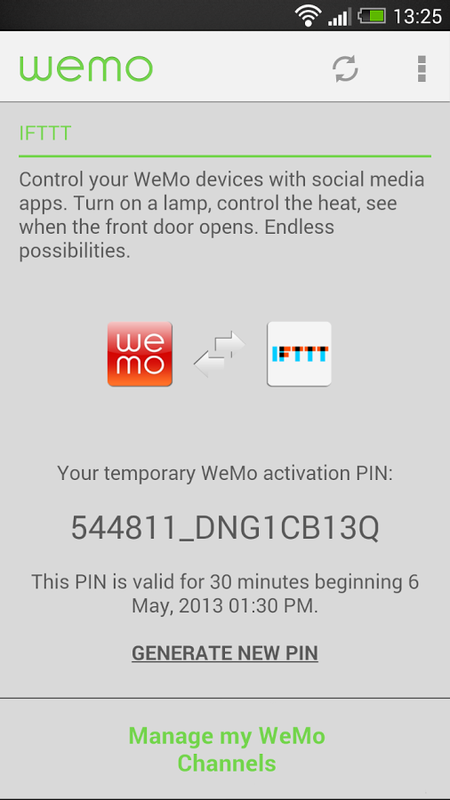 WeMo can control just about anything. 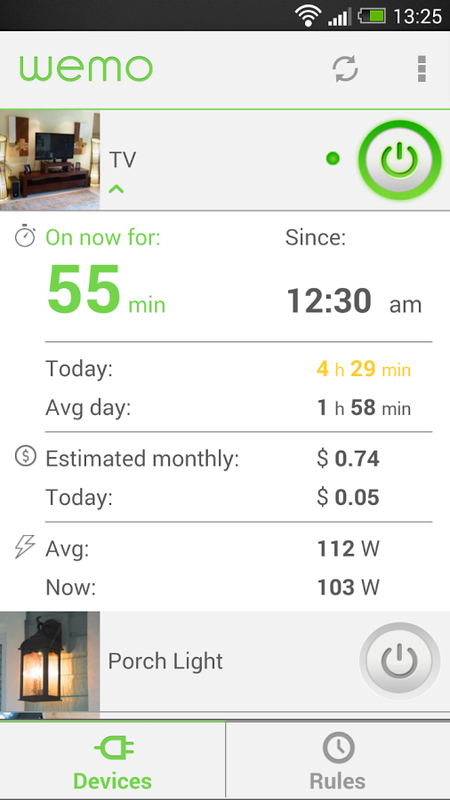 With WeMo you can turn on your lights from another room, or turn it off from across town. You can put your home on a schedule—living room lights go on at Sunset, kids’ TV goes off at bedtime. You can check to make sure you turned the iron off, after you’ve already left. 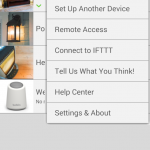 The WeMo App runs on your Android device and controls any electronic device you plug into a WeMo Switch—if you can plug it in, you can turn it on or off with WeMo. The WeMo Light Switch replaces your existing light switch and allows you to control a whole rooms lights from anywhere. 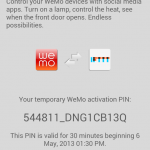 WeMo Motion lets you control the devices when motion is detected. Have the floor lamp go on when you enter the living room, and turn off when you leave. 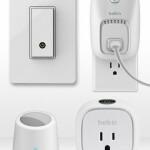 WeMo Switch, WeMo Light Switch and WeMo Motion are available at major retailers. 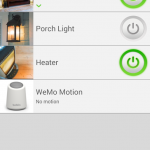 The WeMo family of products is great at automating repetitive tasks, and at allowing you to control your household in ways you’d never thought possible. 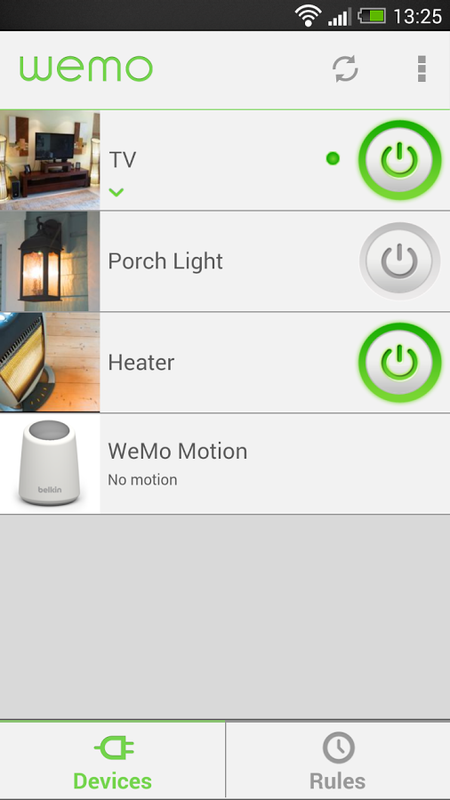 The beauty of WeMo is it’s completely modular. You can control as much or as little of your home as you like. Control one light, one room, or the whole house. 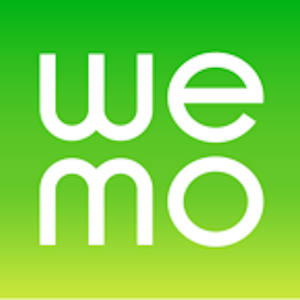 WeMo is your home at your fingertips. 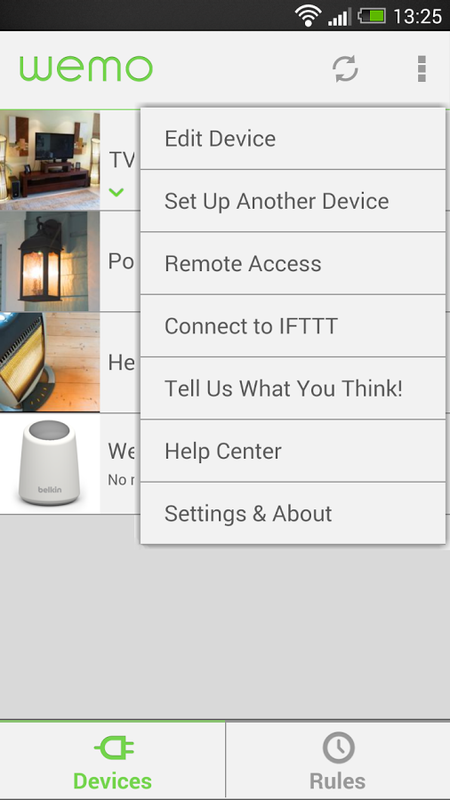 • Easy Setup with customizable WeMo device names. • Simple to create rules help you automate tasks and keep your home safe. • IFTTT integration lets you experiments with a world of online Apps. • Devices easily update to make sure you get the latest features. For the best experience, please make sure all phones/devices are updated to the latest app.